I’ve encountered a few unpleasant dining experiences after following Ho Chiak’s food recommendations (including the Cao Cao Grilled Lamb) so I’m quite wary about places that have the Ho Chiak logo. 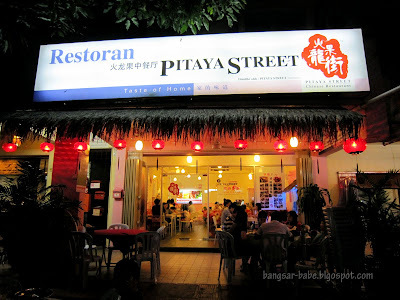 When rif told me we were having dinner at Pitaya Street Restaurant (recommended by Ho Chiak), I refused to go. It took him 30 minutes to coax me into changing my mind. The restaurant was packed with customers, but I was still skeptical. Our food took a while to arrive; I reckon we waited for almost half an hour. Pitaya (also known as dragon fruit) is something my mum makes me eat almost every day. Since I get plenty at home, I didn’t bother ordering the original flavour pitaya juice (RM4). 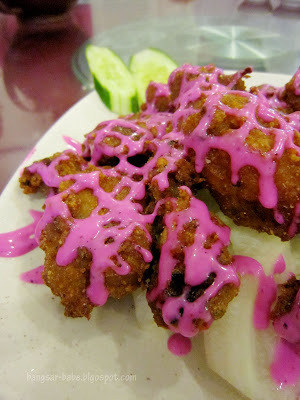 The spare ribs with pitaya enzyme (RM8 – small, RM14 – large) looked freakishly pink, but it tasted quite good. I liked that the ribs were well fried and tender on the inside. For a large plate creamy butter chicken (RM13 – small, RM23 – large), portion was rather small. This tasted decent, but I thought it wasn’t creamy or flavourful enough. The scant gravy didn’t coat the chicken nicely. One of my favourite dishes that night was the ma po tofu (RM8 – small, RM14 – large). This spicy combination of minced pork, silken tofu and chilli gave my palate a good ‘kick’. 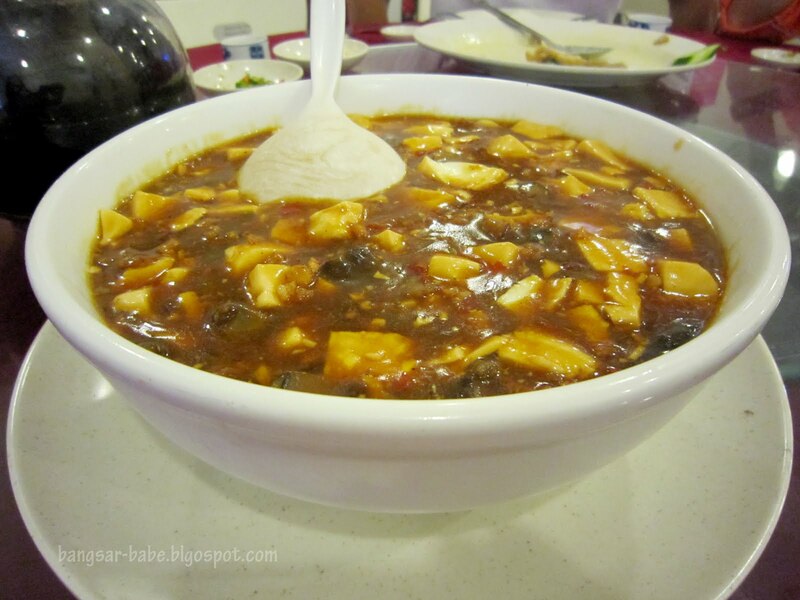 I’m glad we ordered a large serving, as this tasted delicious with white rice. 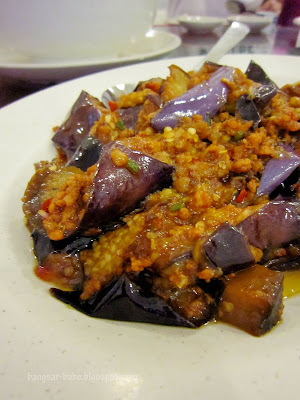 The fried spicy brinjal (RM9 – small, RM15 – large) was quite good, but I found it slightly on the oily side. 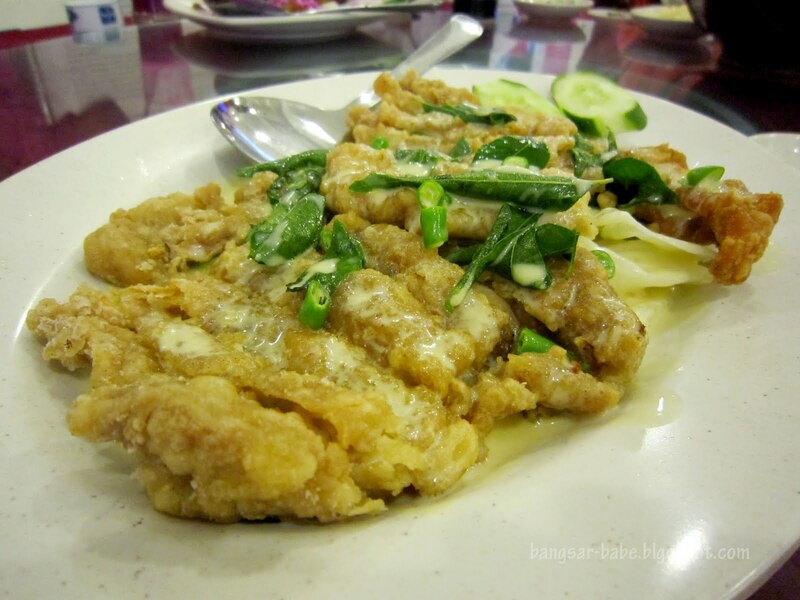 Then again, most fried brinjal dishes tend to be oily. The spicy minced pork topping complemented the tender brinjal slices well. This whole dish had a rich and creamy flavour, possibly from the brinjal. 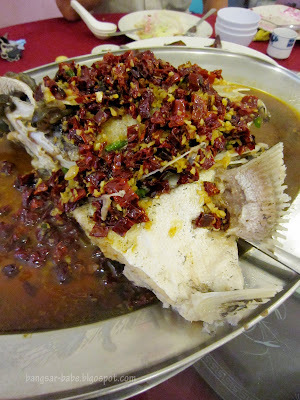 I didn’t care much for the steamed grouper fish head with chillies (RM5/100gm) but the others enjoyed this. The gravy was delicious but the parts of the fish head were rubbery. I find this a common problem, especially when the fish is large. The salted vegetables in broth (RM8 – small, RM14 – large) came with plenty of pork slices, salted vegetables, tomatoes and tofu cubes. 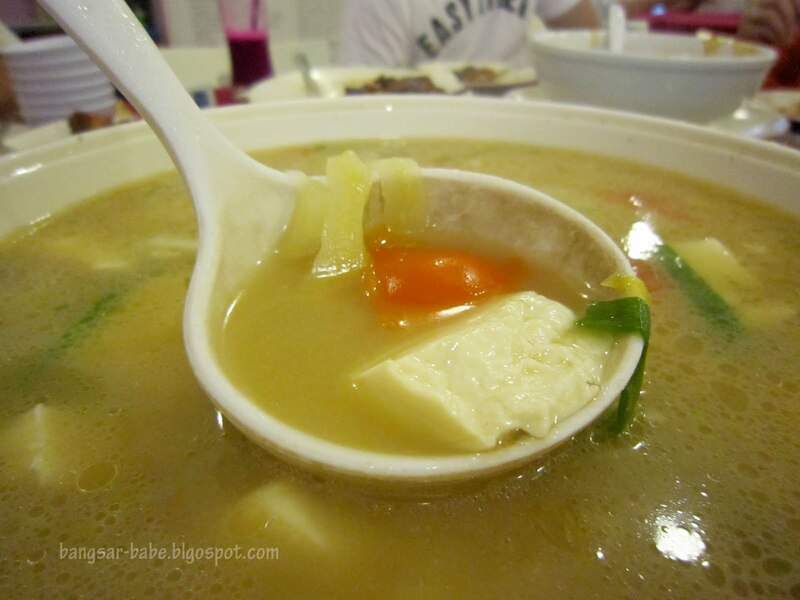 This happens to be one of my favourite Chinese soups because it’s simple yet tummy-warming. Pitaya’s version was lovely. Overall, the food was decent and prices were affordable. 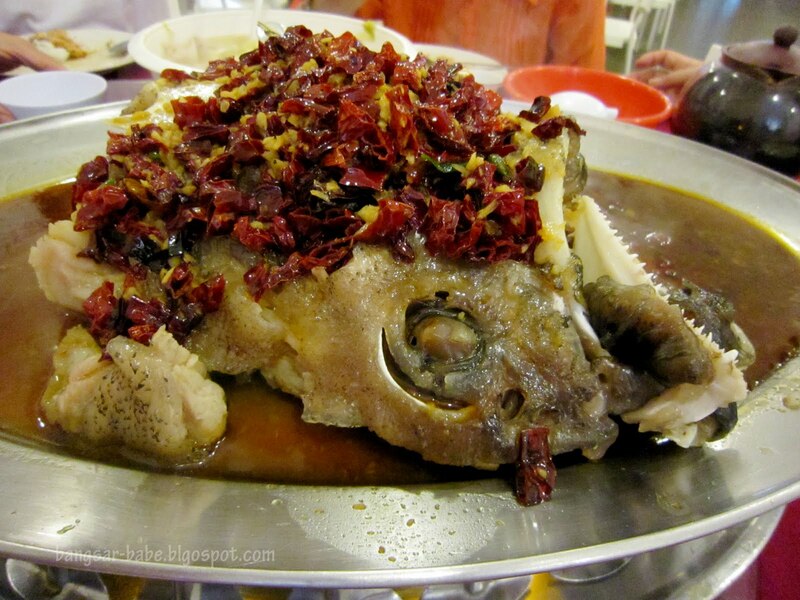 I wasn’t bowled over by the fish head but I enjoyed the tofu, brinjal and soup. 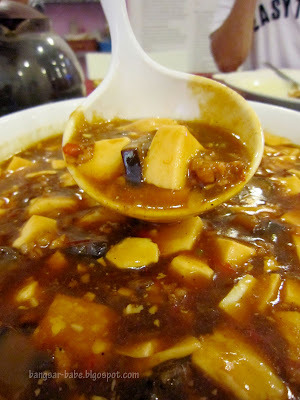 Verdict: Decent Chinese food at affordable prices. nothing like a good brinjal dish, love the vegetable but terrible at cooking it bcos i i dont get to deepfry it. the purple dressing is quite scary indeed! choi yen – Maybe…the place is quite small too. Hahah. Yeah – that enzyme sauce colour is so scary! are they formerly from PJ Old Town? foodbin – I suspect it's a branch. 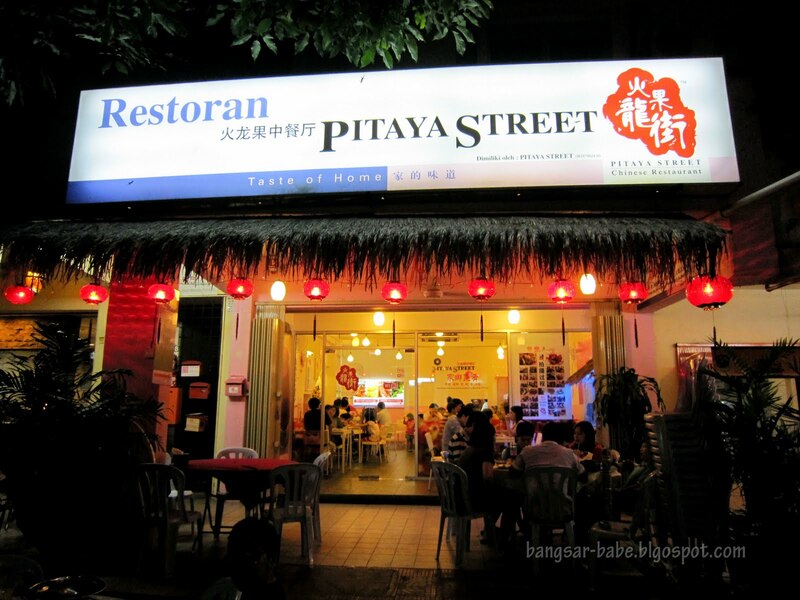 You tried the PJ Old Town one right? Eh I didn't know Pitaya is actually dragon fruit! 😛 But the pink colour certainly sends the wrong message to other people who might not be used to pink food! Prices are reasonable though..
wah, i don't think i would try that spare ribs with pitaya dish. looks too … pink … for me. the only pink thing I ever eat are (i) strawberry ice cream (ii) air bandung and (iii) pink-colored antibiotics!